In 2014, we wanted to do something special for Christmas time. A time to do special and kind things. We baked a cake and made a little action for catchment leads and celebrate Christmas. 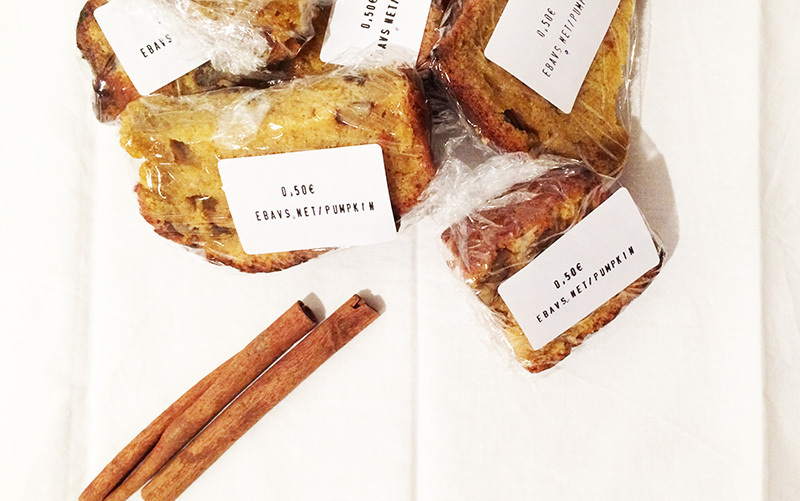 We sold the cake in small pieces for each Betahaus’s member with a message: Discover the recipe in the next URL. In a bowl mix eggs with brown sugar. Then add the oil and warm pumpkin until well blended. Finally, add the flour and yeast and nuts. Bake for about 50 minutes in a preheated oven. Double our traffic on the web. Triple the visits to our blog. Make us known in betahaus (in case someone did not know us already: P). Christmas greetings to over 150 people. Bring a smile to our betas lovers faces. Do you want something similar as our cake? We would like to share other recipes with you.